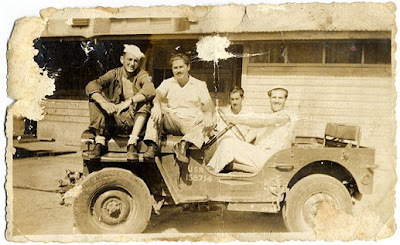 See that big, hulking, smiling, blond man sitting in the driver's seat in the Jeep? That's my dad at the Guantanamo Naval Base in Cuba, sometimes in 1946. Feliz Dia de los Padres, Dad!